Here at PSV.ie (aka South Dublin Autos) we carry out fast, reliable and competitively priced body crash repairs and spray painting services for all vehicle makes and models. Regardless of what repairs your vehicle panel needs, (scratches, cracks, punctures, scuffs, dents) we make the damaged panel look like new. 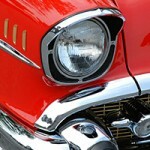 We replace and /or repair all auto body parts on modern and classic cars. Most jobs done the same day. Claiming from an Insurance Company? Save time and stress and let us liaise with the Company and their Assessor on your behalf. 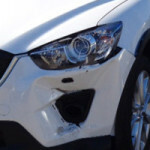 If youre vehicle had a small bump and the paint is not broken, we can restore your panel or bumper to its original condition keeping the pre-accident paintwork on your car. This operation incurs only a fraction of the cost of traditional repair/replace method. 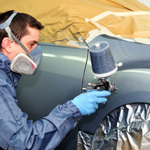 We carry out all vehicle body repairs from scratch and dent repair to collision repair and everything in-between. We also supply and fit front and rear vehicle bumpers, grilles, head lights, tail lights, wings mirrors, bonnets, boot lids for any vehicle. We will not be beaten on price. We have Dublin’s most competitive prices! Our service is second to none. We provide top quality work. We make sure customers are always satisfied with our work. Primary structural components broken, cracked, insecure, damaged or rusted to an advanced stage. Secondary structural components missing, insecure, rusted or damaged to such an extent as to leave sharp edges. Body not sitting squarely due to distortion. 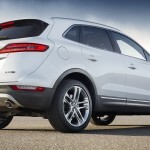 Bonnet or boot catches defective or bonnet safety catch missing or defective. Bumper, bull guards, body strips insecure. Permitting the entry of fumes from engine or exhaust. 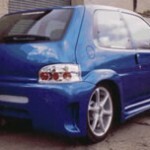 If you failed your NCT car test for any of the above reasons, let us repair your vehicle to NCT standards.